Tania Chen (toy piano, objects, etc. 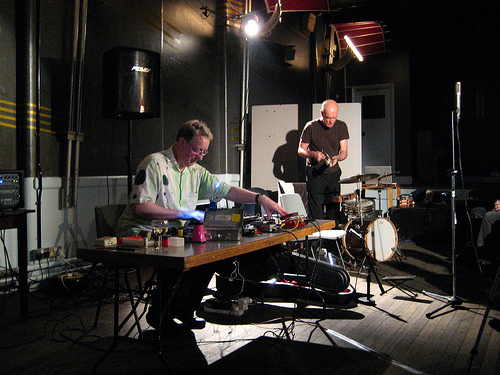 ), Lol Coxhill (soprano saxophone), Max Eastley (self-made instruments), GuillaumeViltard (contrabass), Disinformation (electronics), Steve Beresford (electronics, objects, etc.). Organised by Steve Beresford and Poulomi Desai. In memory of Lol Coxhill who died on 10th July 2012.